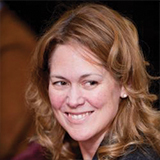 Sheila Heen is Senior Consultant of CMPartners, Founder of Triad Consulting Group, and a Lecturer on Law at Harvard Law School. Sheila’s corporate clients include Citigroup, Merrill Lynch, IBM, Unilever, Millennium, Standard Bank of South Africa, and Merck. She often works with executive teams, helping them to work through conflict, repair working relationships, and make sound decisions together. In the public sector she has also provided training for the New England Organ Bank, the Singapore Supreme Court and Greek and Turkish Cypriots grappling with the conflict that divides their island. Sheila has spent the last ten years with the Harvard Negotiation Project, developing negotiation theory and practice. She specializes in particularly difficult negotiations – where emotions run high and relationships become strained. Sheila is co-author of the New York Times Business Bestseller, Difficult Conversations: How to Discuss What Matters Most (Penguin 2000), as well as articles, several book chapters, and many of the teaching materials used at Harvard and across the negotiation field. One of the side benefits of writing Difficult Conversations has been the chance to appear on shows as diverse as Oprah and the G. Gordon Liddy show, NPR’s Diane Rehms Show, Fox News, and CNBC’s Power Lunch. Her articles on negotiation have appeared in Fortune, Real Simple and USA Weekend. Sheila is a graduate of Occidental College in Los Angeles, and Harvard Law School. She is schooled in negotiation daily by her three children.